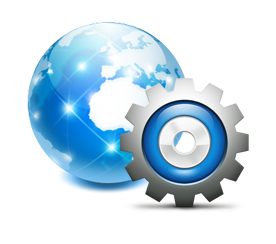 Maintenance Programs « FSA inc.
Website Maintenance is a critical aspect of a company’s success on the Internet. It establishes a sense of change and keeps the visitors returning to your site. It is important to find a company that can understand and be flexible enough to work with you and your particular maintenance needs. Here at FSA we maintain web sites for Individual, Commercial, Non-Profit, and Educational organizations and companies, both large and small. We tailor to YOUR needs, and always act as your advocate. Large corporations or businesses that require a substantial maintenance schedule often require unique customized services. We understand the need for itemized billing based on specific departments, face to face meetings, reoccurring tasks, purchase orders, and the ability to dedicate particular employees that may require unique training. For Commercial, Non-Profit, and Educational Organizations we offer website maintenance at: an hourly rate with a minimum of only 1 hour, on a scheduled basis, or per project depending on the scope. Posting new content or editing of pages (Content client provided). Add any new pages or listings, removing obsolete and orphan pages. Optimizing and adding new images to Posts and Pages (Content client provided). Maintaining shopping websites (new products, adjusting product info, images, etc…). Emergency Web Server Mitigation due to DDoS, Brute force,or other common attacks. 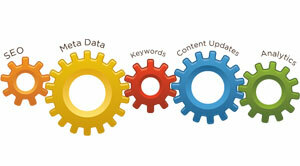 Monitoring Google Analytics and Google Webmaster Tools. Administration of Users. Validate and repair various Code and Scripting Errors.